Sad leftovers. Tiny portion sizes. And the same supermarket sandwich five days in a row. Sound familiar? When it comes to office food in Manchester, we see so many people doing it wrong. There's no taste, no heart, and they forget that great food can make a radical difference to their day. That's why we're taking a stand. 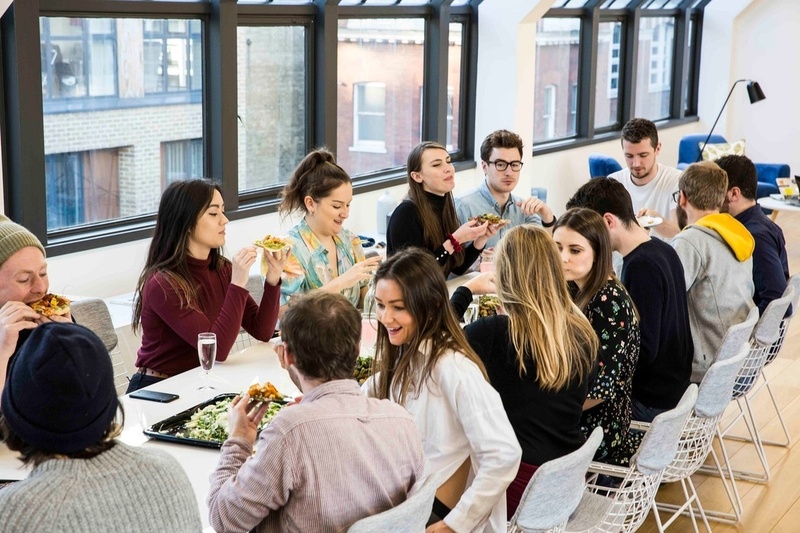 We believe food in the office should be more than just fuel, which is why we deliver Manchester's best restaurants to your office - letting you choose the food you really want. It's time to forget what you know about office catering in Manchester. And start the office food revolution with City Pantry instead. In short, we're about to be Manchester's biggest and best office catering platform. But we're also a team of real foodies. We help you choose food from across Manchester, not just around the corner. And for any occasion, too. Whether it's a working lunch, office meeting or Friday feast - we've got you covered. Our service has always set us apart and we have genuine opinions on every menu. So if you’re ever spoilt for choice, there’s no one better to have on your side. From your screen all the way to your table, we're all about convenience. We make finding great food in Manchester as easy as eating it. If you’re after a one-off team treat, regular meals or something outstanding for a big event, ordering with us is straightforward and simple. 1. Choose from a range of restaurants and caterers in Manchester - all perfect for office meetings, team lunches and events. 2. Tell us your delivery location, date and the 30-minute time window you'd like your order delivered in. 3. We deliver everything to your office, on your schedule and all for the same price as going direct. It's that easy. Are you ready to discover poké bowls, burgers and banh-mi that other offices can only dream of? We're now in Manchester and we're connecting you and your team to the city's best caterers and restaurants, delivering meals for every diet, appetite and budget. To get started with City Pantry, simply register your interest your with us below.